From the Colts toppling the Texans to the pass interference noncall heard ’round the world, the lead-up to this year’s Super Bowl had no shortage of drama. For the New York Times, Andrea Zagata, Designer. 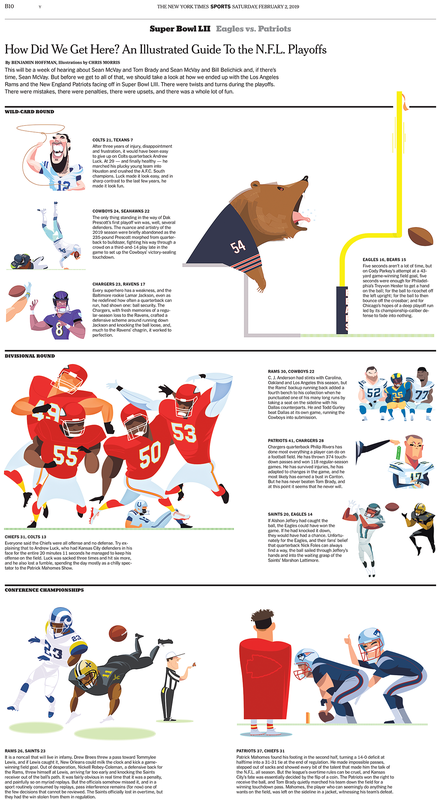 NextNext post:An Illustrated Guide to the N.F.L. Playoffs, animated.